This section includes a comprehensive explanation of the proposed research, and is addressed to other specialists in your field (not to laymen). The section is the heart of the proposal and is the primary concern of the technical reviewers. To make it clear and easy to follow, you may need several subsections tailored to your work. Research design is a large subject and cannot be covered here, but a few reminders concerning frequently mishandled aspects of proposals may be helpful. Be realistic in designing the program of work. Overly optimistic notions of what the project can accomplish in one, two, or three years, or of its effects on the world, will only detract from the proposal's chances of being approved. A frequent comment made by reviewers to new investigators is “the work is too ambitious.” Research plans should be scaled down to a more specific and manageable project that will permit the approach to be evaluated and, if successful, will form a sound basis for further work. In other words, your proposal should distinguish clearly between long-range research goals and the short-range objectives (2 – 4) for which funding is being sought. If your first year must be spent developing an analytical method or laying groundwork, spell that out as Phase 1. Then at the end of the year you will be able to report that you have accomplished something and are ready to undertake Phase 2. Be clear about the focus of the research. Be explicit about the hypotheses the research method rests upon, and restate the aims from the Purpose section. Be as detailed as possible about the schedule of the proposed work. When will the first step be completed? When can subsequent steps be started? What must be done before what else, and what can be done at the same time? 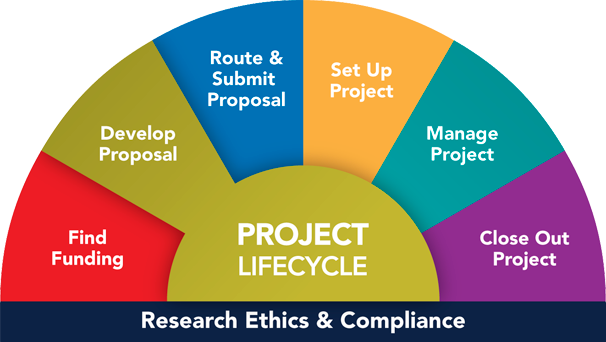 A Timeline detailing the projected sequence and interrelationship of major tasks often gives the sponsor assurance that the investigator is capable of careful step-by-step planning, and that the work will be accomplished in an efficient and feasible manner. If you are proposing new, risky or unorthodox methods, be sure to include adequate justification, e.g., references in literature about success of these methods in similar studies. Be specific about the means of evaluating the data, conducting the analysis, or determining the conclusions. Try to imagine the questions or objections of a hostile critic and show that the research plan anticipates them. This is a good reason to have your proposal pre-reviewed by peers in your field before sending to the sponsor. Be certain that the connection between the research objectives and the research method is evident. If a reviewer fails to see this connection, s/he will probably not give your proposal any further consideration. Updated in 2014 by Christine Black. Originally produced by Don Thackrey.